One hundred years after the end of World War One, veterans gather to reclaim the true meaning of Armistice Day. And for this month’s episode of the F-Word on fascism, human rights activist Ajamu Baraka joins us to talk about the military-industrial complex. -In climate news, dozens of young environmentalists with the Sunrise Movement, occupied the office of Rep. Nancy Pelosi, demanding a green new deal. 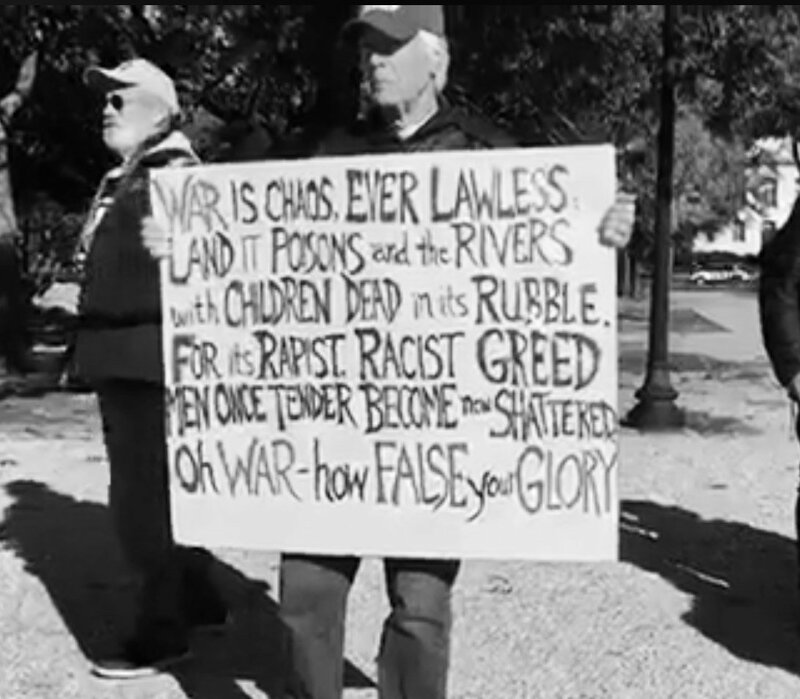 -VETERANS AND ACTIVISTS GATHERED AT SEVERAL ACTIONS in DC at the start of this week on the 100th anniversary of the end of World War I. -Black Lives Matter DC, the American Civil Liberties Union and the Stop Police Terror Project argues in court that the District’ of Columbia has unreasonably delayed implementation of the stop-and-frisk data collection. -Muslim activists also met this week to discuss how federal laws target them for surveillance and harassment. -In culture in media, the annual BZB Holiday gift and art show kicks off this November 23rd and 25th with 60 pop-up shops at the Shiloh Family Life Center, 1510 Ninth Street in northwest DC.